Tom Sleigh's poetry swerves dramatically from the ordinary moment to the onrush of emergency or to the elusive past or to the unexpectedly comic. 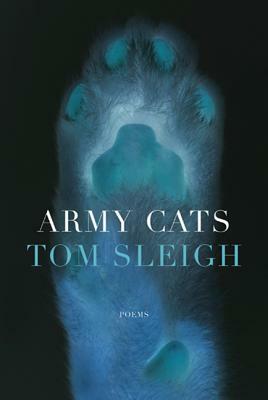 In Army Cats, Sleigh confronts the more feral aspects of war, journalism, art, and selfhood. Many of these poems are seen as if through the haze after the detonation of a roadside bomb, or while the smoke hasn't yet cleared from history in the making. One poem describes the fallout after a wedding is interrupted by an explosive; still another attempts to re-create the execution of Saddam Hussein as distorted by a cell-phone video recording found on YouTube. This is brilliant new work by one of America's finest and most relevant poets. Tom Sleigh is the author of seven poetry collections, including Space Walk, which received the 2008 Kingsley Tufts Award. He is also a playwright, a translator, and the author of a collection of essays, Interview with a Ghost. He lives in Brooklyn, New York.